Dr Shamir Shah is a dental surgeon who has 23years experience in general dentistry and qualified from Kings College London in 1991. 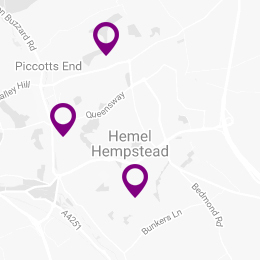 He has a particular interest in cosmetic dentistry and orthodontics and has worked at the Hillingdon Hospital for over 15 years as a Specialty Doctor in Orthodontics as well as in general practice at Hemel Smile Studios. Dr Shah has undertaken an advanced course in orthodontics in 2001 and was awarded a trophy and first prize for that year. He has also carried out many smile makeovers after getting training from the specialists involved in Extreme Makeover as seen on television. Procedures involving whitening, veneers, crowns, bridges and cosmetic braces are regularly carried out in practice with life changing results. Dr Shah is more than happy to discuss any cosmetic dentistry concerns you may have and can give a free consultation to assess the choices you may have. In his spare time, Mr Shah regularly plays football and enjoys following Liverpool FC. He also enjoys travel, cinema and theatre.